Lima Memorial Health System recently came to Allen County for help. 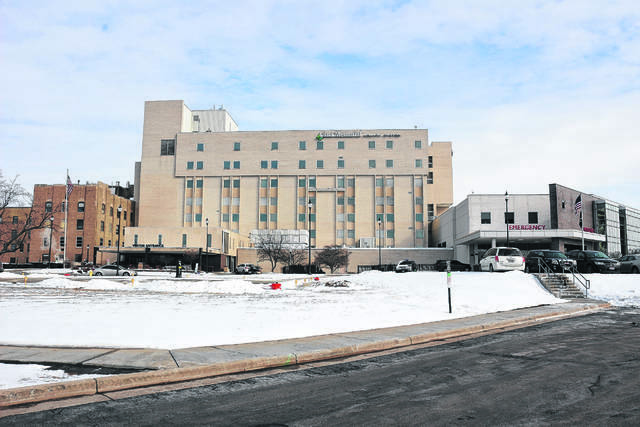 LIMA — To help Lima Memorial Health System refinance its debt load, Allen County Commissioners authorized a $50 million bond for “the purposes of refunding all of the outstanding state of Ohio Hospital Revenue Refunding Bonds,” according to the county’s resolution. Public entities helping nonprofits, such as hospitals, through issuance of bonds is a relatively common occurrence in local governments, and it often helps hospitals better deal with debt payments. The terms of the bond shall not exceed 40 years, and the variable interest rate is not to exceed 25 percent. Allen County Commissioner Jay Begg said such moves result in savings for the nonprofit by using the county’s conduit debt, allowing nonprofits to take advantage of lower interest rates for loans. Begg said such a move doesn’t affect the county’s credit rating or its ability to borrow, but it can result in some slight increase in revenue for the county. “We’ve done it for (Mercy Health-) St. Rita’s (Medical Center) for years. It’s the first time that Lima Memorial approached us,” Begg said. “When we can help someone that’s local, then it’s helpful for the community,” Commissioner Greg Sneary said. https://www.limaohio.com/wp-content/uploads/sites/54/2019/02/web1_SpiritLimaMemorial-toned.jpgLima Memorial Health System recently came to Allen County for help.